Be the first to share your favorite memory, photo or story of Jonathon. This memorial page is dedicated for family, friends and future generations to celebrate the life of their loved one. 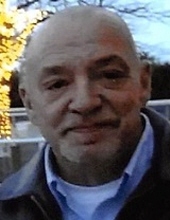 Jonathon Jude Burger, age 65, son of John J. and Diane Therese (nee Koludrovic) Burger passed away on February 2, 2019. He is survived by his wife, Doreen (nee Gagnon) Burger, his sons, Zack Burger, Chadd Measel and Joseph Measel; daughter, Diane Brown; grandchildren, Gabriellie, Berisha (nee Gouin), Sabriena Brown and Maryssa Nichols. Pre-deceased by daughter Angella Burger. John was a loving and dedicated family man. He worked in several fields before his retirement. He was an avid sports fan supporting all of the local teams. Friends may visit the Schrader-Howell Funeral Home, 280 South Main Street, Plymouth from 2:00 P.M. until the time of the Funeral Service at 7:00 P.M. officiated by The Reverend Father Thomas Belczak. Memorials in memory of Jonathon J. Burger may be made to St. Jude Children’s Research Hospital, 501 St. Jude Place, Memphis, Tennessee 38105-9959. Memorial envelopes will be available at the Funeral Home. "Email Address" would like to share the life celebration of Jonathon Jude Burger. Click on the "link" to go to share a favorite memory or leave a condolence message for the family.